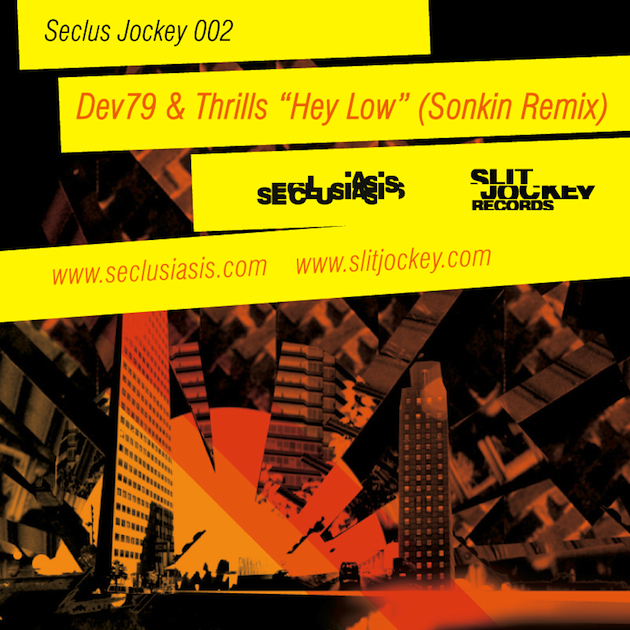 Back in the summer we launched the Seclusiasis x Slit Jockey Records collab single series of free downloads – Seclus Jockey – and we kinda slacked on giving you another one til now but we’re sure its worth the wait! Dev79 & Thrills have their upcoming EP “Loose Joints and Blunt Objects” dropping on Slit Jockey December 12th and for Seclus Jockey 002 we have an exclusive remix Seclusiasis crew member Sonkin whipped up of one of the tunes appearing on that EP. Sonkin’s take on the track could best be described as emo purple future bass (?!) and is sure to get your head bobbing! Look for us to be dropping Seclus Jockey free singles more frequently in 2012 and make sure to cop Dev79 & Thrills “Loose Joints and Blunt Objects” next month.